Spectacular home with great curb appeal. Over 5,300 sq ft of finished living space. 1st floor master bedroom with glass block walk in shower. True in-law apartment with private entrance, 2 bedrooms plus den (could be 3rd bedroom), sunny living room, updated kitchen, newer appliances & 1.5 baths. Super sized family room with wood burning fireplace, new windows & doors. 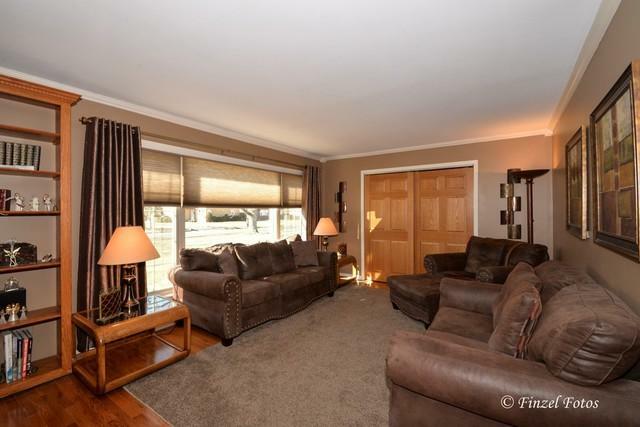 Family room overlooks a 20x40 paver brick patio and 3/4 acre fenced yard. Private garden behind the fence & bonus side yard deck. Many new landscaping features recently added. 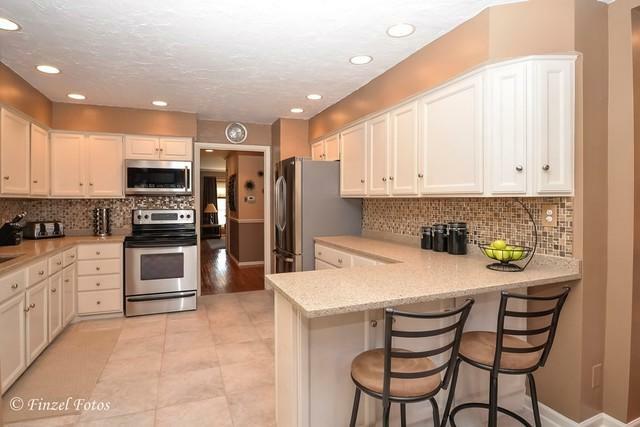 Updated white kitchen cabinets, granite counter tops, new backsplash & stainless steel appliances. Hardwood flooring & ceramic flooring throughout main house. Main level has 2 more bedrooms, full bath & den/dining area. 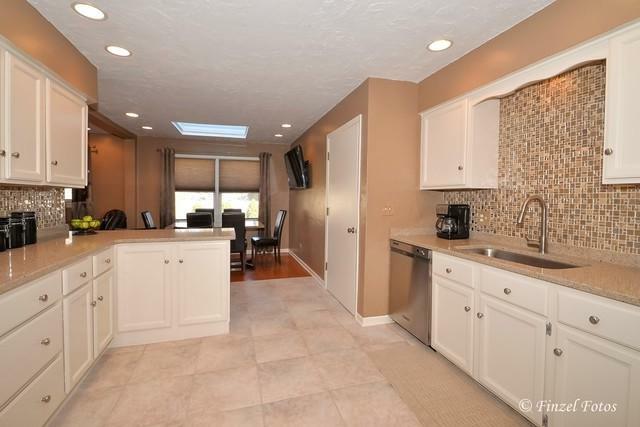 Awesome finished basement has 1/2 bath, bedroom & huge ceramic tiled recreation room. Plenty of storage. 3 car garage. Close to 390 & downtown Roselle. 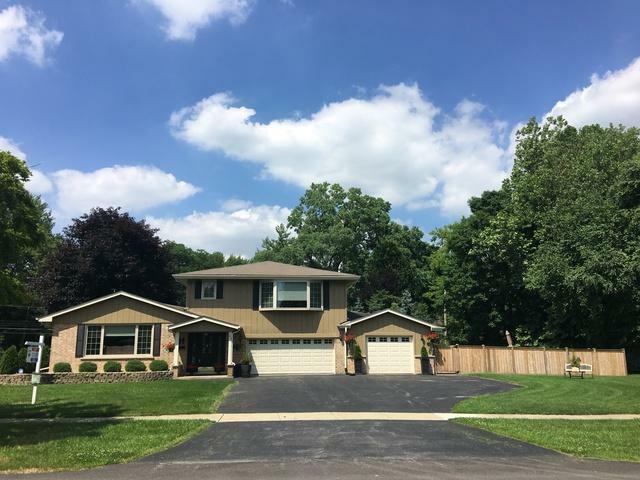 Great Schools & popular Town Acres neighborhood. AHS Warranty included!